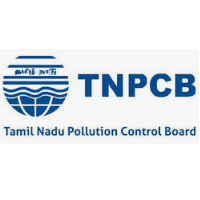 TNPCB Jobs Recruitment Notification 2019.Tamil Nadu Pollution Control Board (TNPCB) inviting applications for the positions of Assistant Engineer, Environmental Scientist, Assistant (Junior Assistant) and Typist.Interested and Eligible candidates can apply for the positions. Bachelor’s Degree/ Master’s Degree/ Engineering/ equivalent from any recognized university/institution. Check more details of educational qualification in TNPCB official website given below. Minimum age limit is 18 years and maximum age limit is 30 years. Check more details of age limitation in TNPCB official notification given below. Check more details of selection process in TNPCB job advertisement given below. Find the correct TNPCB job notification and open it. Read the notification correctly to check your eligibility for TNPCB jobs 2019.